can this item be used as a display for astronomy outreach? Meaning if i hook it up to a laptop can it produce a viewable real time image for people to see? Like a video monitor rather than everyone looking in my eyepiece, bumping the scope, etc. Kids and parents have grabby hands and I was looking for a hands off approach to astronomy viewing at an outreach event. I don't have a clue, but it is a very interesting question. I will be watching for an answer from anyone that knows. 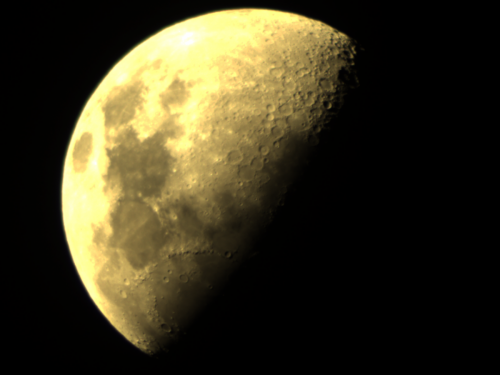 I will check and see if there is any downloadable instructions on the regular Meade site. If I find any, I will post. Reading the description on that page, it does say it can retrieve 28 images per second. If it cannot do actual real time, I bet it is pretty close. It also mentions it can use Windows XP through Windows 10, plus a couple versions of Apple software. With your LS 8 being a really smart scope, I am wondering what the possibilities are with it and this imager. when they buy these LPIG, I would be very interested in how this is connected to the LS8. Waiting eagerly awaiting more information. control the device if so desired. I'm using a MAC. What 3rd party software would you suggest? Personally, I have no idea. I also believe that Meade will not suggest a particular non-Meade software over another one. I did pass on the issue about the CD you encountered......just Windows versions of the software. I love Meade products but I think the frame rate per second is gonna kill this camera from the get go..You need a high frame rate for good detail, be it live viewing or for stacked photos ..Even my camera at 60 FPS isn't enough..I get a great live view from it though but really needs higher frame rate for superb detail on planets..
Is it a fair assumption that beyond planetary images this color imager is not recommended? Not having used one, I am reluctant to say in an absolute sense. It can most likely pick up other bright things, like brighter double stars, and maybe the Great Orion Nebula. However, for deep sky imaging, like a lot of the people on here do, it is not going to be the way to go for that. I believe to use this device for realtime, the frame rate would have to be at least 45 to 48 frames per second. For astrophotagraphy there are allot of other variables to consider other than just pure frame rate. I received an LPI-G Color in the mail on Saturday. Sunday evening, I hooked it up to my Infinity 80, which I am keeping set up for immediate use. The attached image is full frame in the Infinity 80 and is a single shot. The included ImageCapture software is simple to use and loaded successfully. There will be no problem using this imager for outreach work. It simply has the image on the screen and it updates continuously. I could definitely see the Moon moving in the image. Unless you intend on staying busy adjusting the scope position, I think a scope that can track would be necessary for the outreach work. In the attached image, I had to put the intensity adjustment in manual and back it an the speed way back to keep the lighted part of the Moon from being whited out. There should be plenty of sensitivity for planets. In fact, there are settings for all of them that you can select in the software, including Pluto. I am going to try this out with some open clusters and see what happens. In order to get a full view of the Moon in a single frame, it will require an optical tube like the Infinity 80, with its 400 mm focal length.